A few days ago, I was sitting and writing about personal evolution. During the process of setting out my views on that subject, I had a moment of revelation when a thought came unbidden to my mind: By following my path and going in search of my dreams, I have become the person I was born to be. I have found my true self. And that is the person who has always existed in my heart but who was denied their freedom, until I took my first step. I find writing to be a very therapeutic process. Whenever I write, I write from the heart and I spill out onto the page my true self. I do not hold back. It is impossible for me to do anything else. My heart leads me where it will, as it always does. Writing is the process I use as a means to uncover what I truly think about something, it helps to reveal my deepest, inner thoughts and feelings. A short time after I had moved to Budapest, my sister gifted me the book, The Artist's Way by Julia Cameron, and as I followed its methods, I began to write what Julia refers to as 'pages'. Early each morning, before I headed off to the office, I would sit for an hour and write. In the beginning, I wrote down anything that I could think of to write, just to fill up the lines on the page. I wrote nothing more than descriptions of my sitting there, trying to write my pages, not knowing what to write, and how I was just simply trying to fill the required three sides of A4 paper. But gradually something started to happen. My writing began to evolve and I began to unlock my inner self. I would sit down and start writing, initially unsure of where my writing would take me, just content to spill out my inner thoughts and, at some moment as I sat there, a poem would emerge from the end my pen. I had begun to create. Some months later, I sat and read those pages to myself and it was as though someone else had written them. I did not recognise the words as being of my own hand. 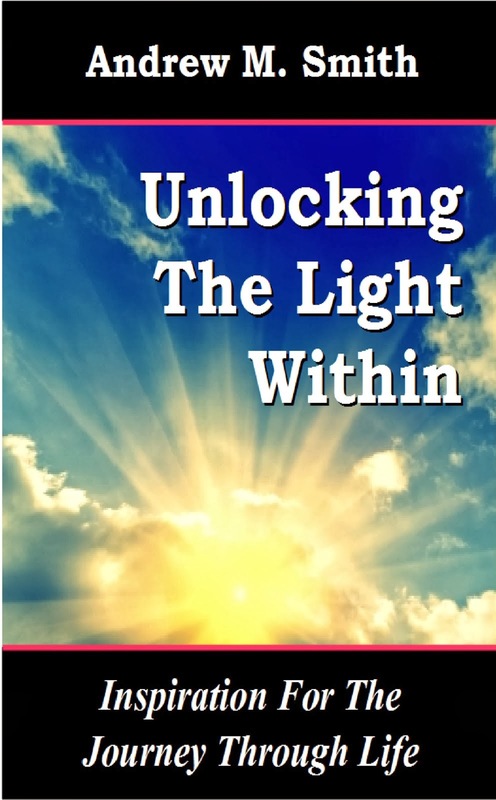 I had found the way to unlock and release my subconscious being. This is exactly what happened to me as I wrote the blog, Personal Evolution. I unlocked my subconscious self and made a new discovery. As amazing as this discovery has been to me, that by walking my true path, I have truly become myself, it also carries with it one very important implication: If I am only myself when I am following my heart and my true path, then as soon as I step away from my path, I lose myself once more and become the old me. I recognise the truth in that. Whenever I go somewhere to visit family and to catch up with friends, during the time that I am there, I notice that I do become a slightly different person. I can feel it within myself. It's as if by returning to the environment of my life before the path, I some how slip back in to old habits and ways. Perhaps I feel that this is the person that everyone expects me to be. Perhaps by being surrounded by the things that remind me of my old life, some part of me seeks to adapt, so that I more easily fit in. Perhaps it is simply that without the ability to do what I love and to be where I am happiest, I cannot truly function as myself. I do recognise that this is no persons fault other than mine, and I fully accept all responsibility for it. But the truth is, that only on my true path can I truly be myself. Why is that? It is simply because the path becomes an integral part of you. Without the path, then you are not the real you. It truly lies at the heart of the matter. Walking the path becomes like taking a breath. You no longer think about it, it is just an instinct, something tells you it is necessary. If you do not, you will die. If I do not walk my true path, then so to will my heart die. And I am no murderer. And this is why I know in my heart, that there is no going back to the old life. I cannot lie to myself. I cannot cheat my heart. It is impossible for me. That is something I have known for a very long time. I simply cannot go against the wishes of my heart. My heart is everything to me. To oppose it is utterly impossible, since my heart is my life. If I step off my path and go to a life that is not my dream, then I will go against my heart. How could I do that now, knowing everything that I do? How could I do that, knowing that only when I am on my true path I am able to be my true self? Ask yourself the same questions. If you had made the discovery of happiness and had found peace in your heart, could you give it up? Could you go against yourself? For many years this is exactly what we do, we fight ourselves. Some of us submit, some of us do not. For those who keep fighting, eventually the heart wins. After obtaining the ultimate victory, after giving yourself the ultimate gift of love, could you honestly walk away from it, knowing everything that it gave to you? Even if you could, why would you want to? I am not saying that I will never return to England. I never rule out anything. Dreams change, the path takes us where it will. What I am saying is that until the day that my dreams do change, then I simply cannot return to my old life and my old ways. I cannot go back to the life that I once had, it was never my true calling. I cannot go back to a life where I am unable to truly be myself. I cannot go back to a life where I do not feel free to be myself. On my true path, I am a bird that soars on the wind. I would never put that bird in a cage. Everything that I am today, is because I took leaps of faith and went in pursuit of my dreams. All of the experiences that I have had, all of the people that I have met, all of the things that I have seen and heard, everything that has touched my heart. All of these have shaped me. They have been the hammer and the chisel. So, this is a price I must pay for following my dreams. Every choice in life has a cost. The pursuit of your dreams is no different. We all must pay a toll for walking our paths. All I can tell you, is that the price to be paid is worth every single penny, cent or forint. I'll finish with one of the poems that came to me one morning while writing my 'pages'. My heart runs ever free.